Studying in a Legal Studies program prepares students for what is next in life—whether that is an entry-level career or law school. When that time comes, students will notice that there are many careers that require one to work closely with those who are involved directly in courtroom. 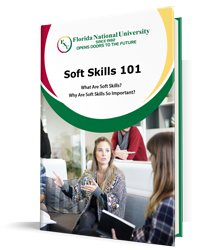 Florida National University (FNU) decided to take a closer look at the roles of workers in the legal system. Court reporters play the crucial role of creating and preserving records of all legal proceedings, speeches, conversations and other official events that take place in the courtroom. The traditional location for court reporters to work from is in the courtroom, but it isn’t uncommon for them to be found working remotely, as they can be called to work in broadcast captioning. Most court reporters still use a machine known as a stenotype, which translates keystrokes into symbols that correspond to the spoken word. While they were much more vital in the past, many of the duties that court reporters would be responsible for having been moved to more advanced audio and video recording technology. This is not to say the job is obsolete, as the duties of setting up and maintaining the recording equipment and accurately transcribing the words spoken has become part of the modern court reporter’s responsibilities. Courtroom clerks (often referred to as courtroom deputies) are indispensable members of pre and post courtroom proceedings. Clerks keep everything running smoothly by handling the important details of setting up dockets and informing attorneys and witnesses about court appearances. They file and maintain paper or electronic records and information as well as assemble courtroom documents and materials to ensure everything operates at an acceptable level. On occasion, a court case will include a party or witness who does not speak or understand English. Their contributions to events are important and so a court interpreter will be called upon to work with the person in need to make sure they understand and are understood by the court. Court interpreters translate everything that the witness says verbatim, clearly and without comment. During the course of translation, if the witness is having difficulties with a question, an interpreter may not clarify or explain anything in his or her own words and must, instead, only relay the witness’ request for an explanation. South Florida is made up of a wide range of different cultures—a large portion of which exclusively speaks Spanish, making the court interpreter a vital part of South Florida’s courtrooms. A judge is the cornerstone of the courtroom and one of its most important authoritative figures. Judges interpret the law to determine how a trial will proceed, which is particularly important when unusual circumstances arise for which standard procedures have not been established. 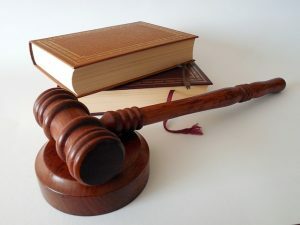 A judge will typically preside over trials and hearings of cases that touch on nearly all aspects of society, where they must ensure that things are conducted impartially to protect the rights of all parties involved. Judges determine if cases deserve to go to trial according to the evidence presented, and decide on many of the terms that those charged with crimes must abide by. Becoming a judge is a long process that includes up to 7 years of full-time study in higher education and law school. In addition to receiving a law degree, judges must also pass a competitive exam from the U.S. Office of Personnel Management. Most judges must be elected into judge positions, which can require political support. While the process is long and difficult, many deem that the compensation is well worth it. The median annual wage for judges, according to the Bureau of Labor Statistics (BLS), was $115,760 in May 2012. Attorneys, also called lawyers, play a great many roles in the courtroom. They are often seen as representatives of parties involved in criminal or civil trials, where they defend their clients from unjust accusations and wrongful charges. They present evidence, acquire witness testimonials, and argue in the bound of the law in support of their client. They can also operate as advisors or consultants where they counsel clients as to their rights and obligations and recommend a course of action. Attorneys do a major portion of their work before ever reaching the courthouse. They conduct vast amounts of investigations and research all angles available to them. In the same way that a Judge must take part in a long stretch of education and acquire a law degree, so must an attorney. On top of that, attorneys are required to have a license to practice law in their particular state and must pass the Bar Exam. Even after completing the Bar and earning their license to practice law they are required to remain up to date with the latest law practices and information— therefore, they must continue their legal education either every year or every 3 years. Like judges, attorneys also stand to earn high wages; the median annual wage for lawyers was $113,530 in May 2012. Attorneys who earned the most worked in both finance and insurance or worked for the federal government. FNU: Preparing Students for Success! This is just a small collection of the common roles seen throughout the courtroom. Because FNU is dedicated to providing you with the educational experience that you deserve, there’s no opportunity that is out of your reach. Start on the path to becoming a trained professional in the field of your choosing and apply now! “Lawyer Studies | Degrees and Concentration Overviews.” Study.com. N.p., n.d. Web. 24 Mar. 2015. “Summary.” U.S. Bureau of Labor Statistics. U.S. Bureau of Labor Statistics, n.d. Web. 24 Mar. 2015.